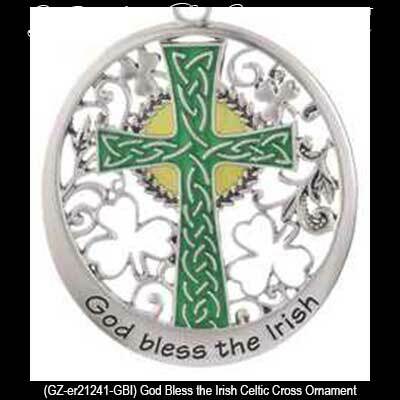 God Bless the Irish Celtic Cross Irish Christmas Tree Ornament with Celtic Knots. Irish Christmas Decoration | Metal Celtic Cross Irish Christmas Tree Ornament with Celtic Knots and Shamrocks. 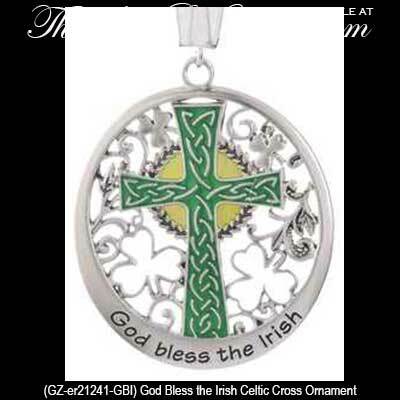 Features enamel accents, a filigree design and the message God Bless the Irish. This Bronze Gallery gift features intricate Celtic modelling. This hand crafted cold cast sculpture is plated in bronze and carefully polished to highlight the elaborate detailing.